First Man - biografia filmowa o Neilu Armstrongu. W rolę astronauty wcieli się Ryan Gosling. Reżyseria : Damien Chazelle. Chazelle's "[point of view] based approach to the narrative will place audiences in the shoes of the early astronauts and show the challenges and sacrifices of the mission to the moon more clearly than ever before," according to the studio. Josh Singer, who won the Academy Award for best original screenplay for the 2015 movie "Spotlight," is penning the script for "First Man." Wyck Godfrey and Marty Bowen of Temple Hill, whose credits include the "Twilight" and "Maze Runner" franchises, are producing. Została ustanowiona nagroda imienia Neila Armstronga Neil Armstrong Award of Excellence. Nagroda ma być przyznawana nowemu pokoleniu naukowców i inżynierów którzy wnieśli wybitny wkład w opracowanie technologii lub zaawansowanych systemów, przy zachowaniu uczciwości i odwagi intelektualnej oraz wierności zasadom, które były bliskie Neilowi Armstrongowi i wszystkim astronautom, którzy polecieli w kosmos. 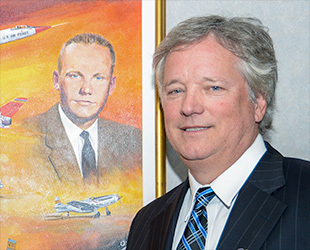 "Our Astronaut Scholars are among the brightest and most innovative men and women in the fields of engineering and science," said Rick Armstrong, son of the late moonwalker and a member of the Foundation's board of trustees. "Dad believed strongly in the value of a strong education coupled with hard work, so I have no doubt that he would be enthusiastic about [recognizing] someone who not only shares those values but has gone on to achieve something amazing with that opportunity," he said. It is with great sadness that we share the news that on June 21, 2018, at the age of 84, Janet Shearon Armstrong lost her fierce-hearted battle with lung cancer. 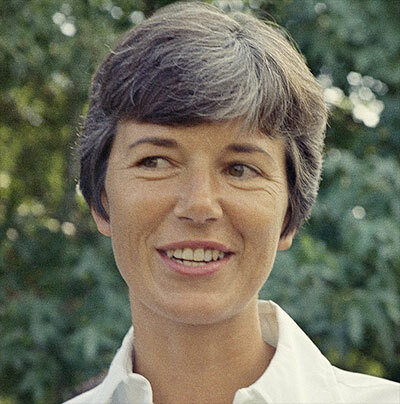 She was a loving mother, grandmother, great grandmother, friend, and a wife of test pilot and astronaut Neil Armstrong. Janet Elizabeth Shearon was born in Wilmette, Illinois, the youngest of three daughters of Dr. Clarence and Louise Shearon. A graduate of New Trier High School, she then attended Purdue University in the School of Home Economics and was a member of the Alpha Chi Omega sorority. In 1956, Jan and Neil married and eventually settled in the San Gabriel Mountains on the outskirts of Lancaster, California. From their home in Juniper Hills, Jan could see her husband flying experimental aircraft at Edwards Air Force Base in the distance. Together, Jan and Neil would move to Houston, Texas for the NASA space program, and afterwards to Lebanon, Ohio. After 38 years of marriage, Jan and Neil divorced and she became a resident of Utah, spending time in Deer Valley as well as St. George. Everywhere she went, she forged lifelong friendships and frequently attended reunions for not only her high school graduating class, but her kindergarten class as well. In 1964, Jan was the founder and coach of the El Lago Aquanauts synchronized swimming team and remained a supporter and advocate throughout her lifetime. Additionally, she was a founding member of the KIT (Keep-In-Touch) group of astronaut wives that have remained close, to this day. She is survived by two sons Rick and Mark, daughter-in-law Wendy; and also by 6 grandchildren, and 2 great grandchildren who knew her simply as "Cee Cee". Jan's second child and only daughter, Karen Anne "Muffie" Armstrong, died from a brain tumor at the age of 2 years, 9 months. Janet received many awards and honors worldwide as a result of her courage and dedication during the American space program of the 1960s. By all that knew her, she will be remembered as a strong, willful woman that always reunited with a warm smile and parted ways with tears. We ask only that you honor her by standing up for that in which you believe. Nie wiem czy rozproszenie tych artefaktów jest korzystne. 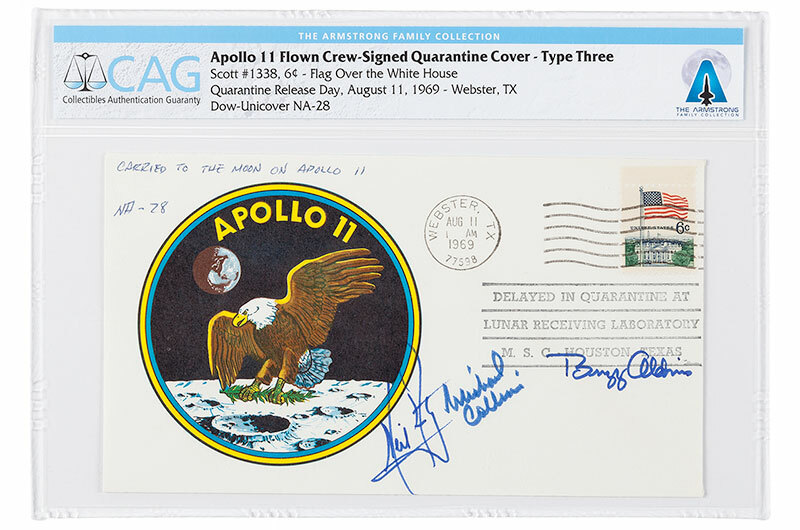 July 20, 2018 — The personal collection of the first man to set foot on the moon is heading to auction.